The Trust has produced a book entitled Castleford Born & Bread. 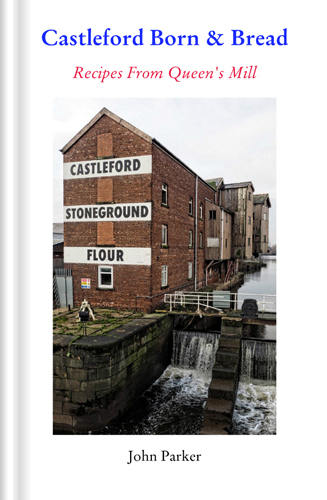 Priced at £6.99 the book contains recipes that use the flour produced at Queen's Mill. It is illustrated by local artists and contains a special contribution of two recipes from Yvette Cooper and her husband Ed Balls. As well as the recipes the book contains photographs, a history of the mill and an article about former mill owner Dr. Thomas Allinson. The flour produced at Queen's Mill is ground from Yorkshire wheat grown in the nearby village of Kellington, once ground it is sieved by hand to give a unique wholemeal flour. For UK residents the book can be obtained by sending a cheque for £9.99 which covers P+P to: Castleford Heritage Trust, Aire Street, Castleford, West Yorkshire WF10 1JL. In 1915 Dr. Allinson published a recipe book using the flour produced at his mills, this is available on-line as part of Project Gutenberg.